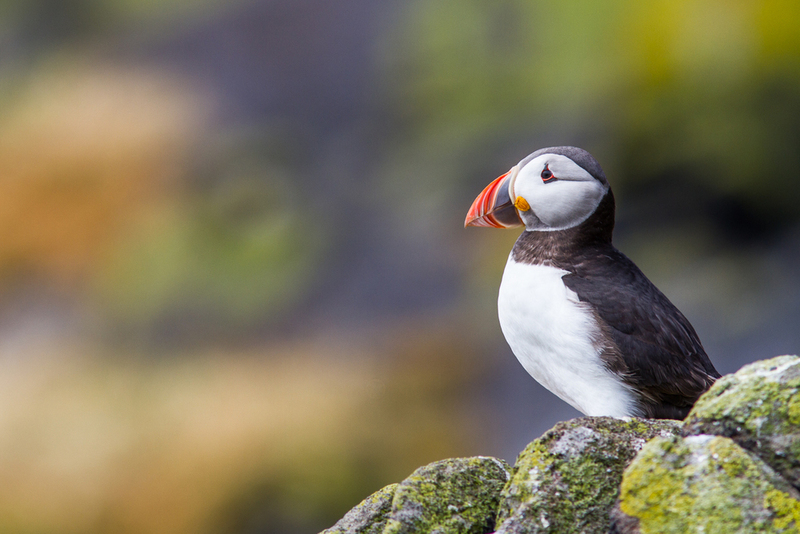 I first saw and photographed puffins a couple of years ago when I stayed on the wonderful Isle of May for a week. 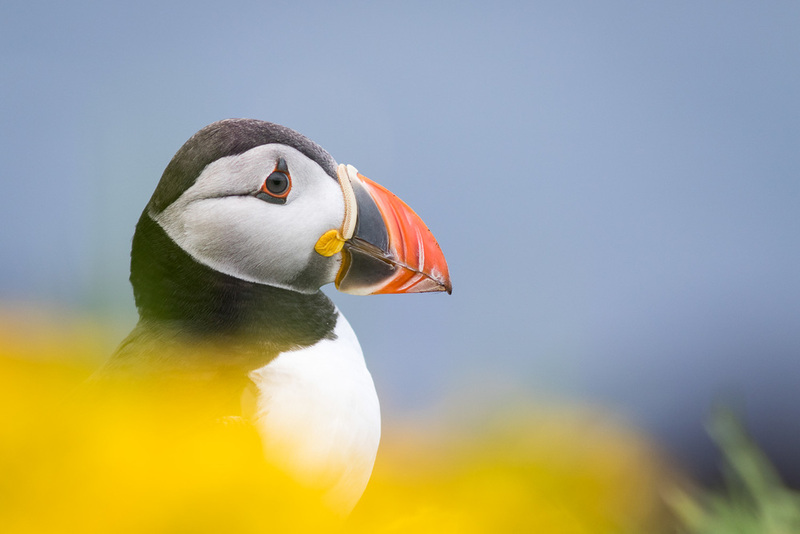 As I was staying on the island it allowed me to get out at sunrise and sunset to capture these charismatic creatures in some beautiful summer light, and get some 1-on-1 time with them. The Isle of Lunga was a slightly different experience, though great all the same. With only 2 hours on the island you're pushed for time to try and capture something, and with lots of people around trying to find a quiet space to work in can prove difficult. 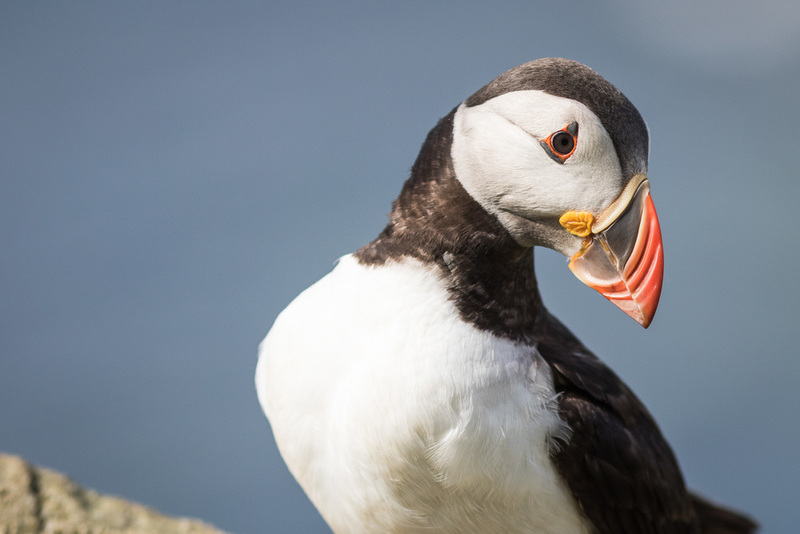 The puffins on Lunga, compared to those on the Isle of May however, are much more used to people and so approaching them to within just a few centimetres was almost too easy. 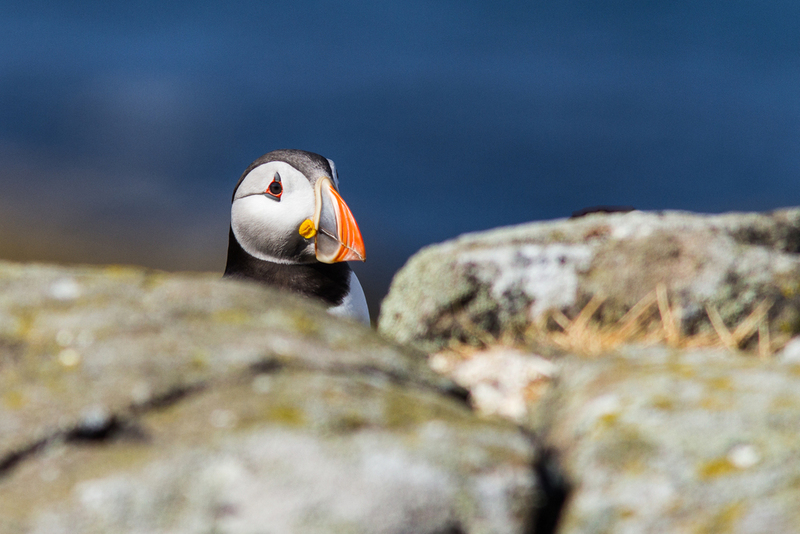 It is always tricky trying to get an image of puffins that is unique, or at least a wee bit different from the millions already out there. They seem to have such character and varied personalities (excusing the anthropomorphism) that my main aim is to try and capture a little of this in each shot.